If you are looking for garage door repair or installation in Brighton, call the friendly professionals at Mass Garage Door Experts. With a decade of experience, we’re prepared to handle any situation, both commercial and residential. Whether it’s new garage door installation, torsion spring replacement, or problems with cables and pulleys, we do it all and we do it for a fair price. There’s no extra charge for Sunday service and we perform service and installations year round. 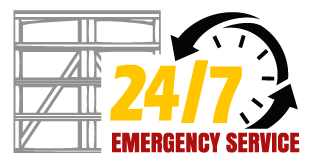 When you call, we offer speedy and same-day service on garage door repairs. Our team of highly trained technicians arrives prepared to do the job right the first time. We’ll address your situation before and after the work is done, so you’ll never need to call us back to return to fix a problem. Make an appointment with our garage door repair and installation team in Brighton today!